Let’s start off with a few truths. I have never cared for pie. Sure, I’ve had my fair share of French silk or pumpkin pie during the holidays. Yet, I’ve never craved it. I’ve never purposefully gone out of my way to make a pie. Frankly, I wouldn’t even know where to start when making a pie. During my recent family visit, I dived right in. 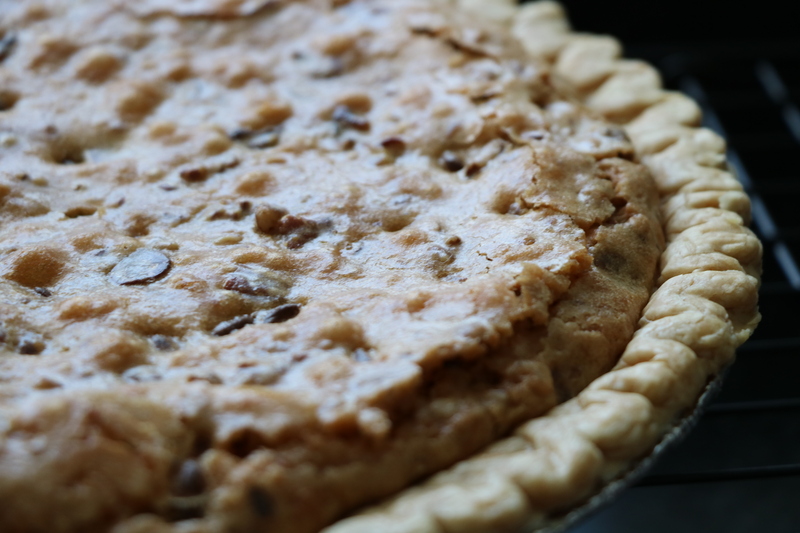 I set off on Pinterest to find a handful of pie recipes that seemed interesting to me. I’ve never heard of Derby Pie, so it immediately caught my eye. This Southern dish originated from Kentucky, and is typically made with chocolate and walnuts. I opted for a recipe that used pecans. I made it and brought it to my family dinner. Within hours, I was giving out the recipe. 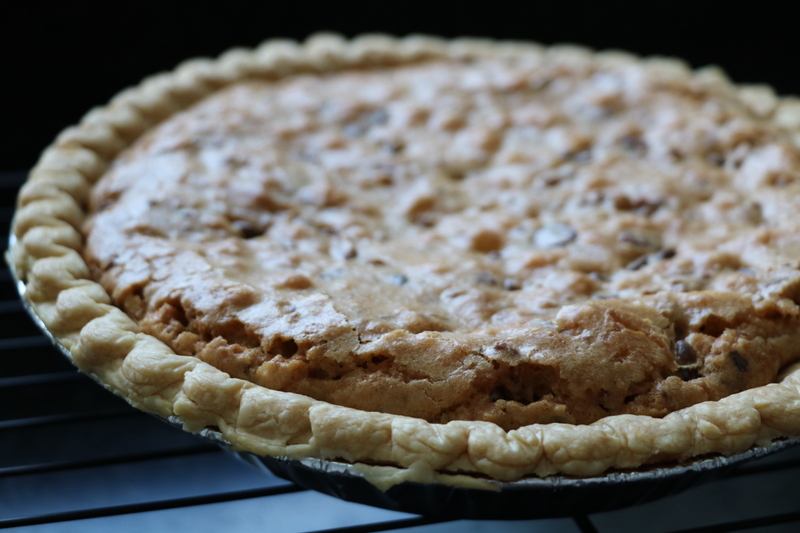 Tell me, what are your favorite pies to make during the summer time? In a large bowl, beat sugar and butter until creamy. Beat in eggs and vanilla. Add flour and salt; mix well. Stir in chocolate chips and pecans. Pour mixture into pie crust. Bake 60 minutes, or until center is set. Cool before serving.